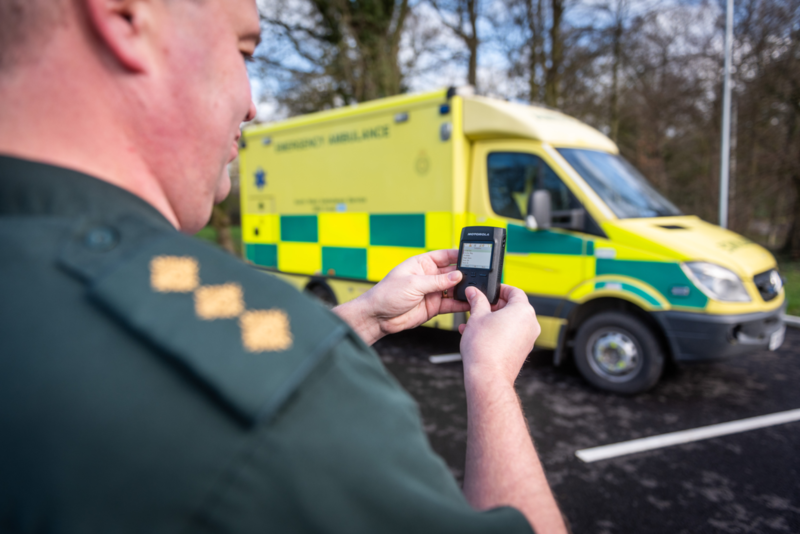 Motorola Solutions has been selected by the North West Ambulance Service (NWAS) NHS Trust, the second-largest ambulance trust in England, to equip 450 Community First Responders with its ADVISOR™ TPG2200 TETRA two-way pagers as part of the TPG Messenger managed service. The new pagers will modernise the mission-critical alerting of volunteer first responders on the Airwave public safety network and improve critical response times during medical emergencies. The lightweight and compact ADVISOR™ TPG2200 TETRA pagers meet all operational requirements of the NWAS NHS Trust and can be seamlessly integrated with its existing command, control and crew alerting systems. With their enhanced coverage, extended battery life, colour display, powerful speaker and vibration alert, the new TETRA pagers ensure that Community First Responders can be quickly reached and dispatched to those in need of urgent care. The pager’s built-in GPS receiver allows the control rooms of the NWAS NHS Trust to send messages to volunteers within a three-mile radius of an incident who have checked in as being available. Utilising the NWAS’ computer-aided design (CAD), the ADVISOR™ TPG2200 TETRA pager and the nationwide Airwave public safety network, controllers can immediately identify and allocate the available resources. Volunteers can respond instantly to text messages and alert notifications, check in with the control room when arriving at the scene and check out once the ambulance has arrived – all by using the bright colour display and intuitive user interface of the pager. In addition, if there are any issues or if an incident cannot be found, first responders can alert the control room immediately via status messaging or the configured emergency button. The control room can track the device and send assistance to the volunteer, either in terms of information or by sending the police or other support. The Motorola Solutions TETRA pager leverages all benefits of the Airwave public safety network, including reliability, resilience, security, responsiveness and interoperability. For reliable operations, the NWAS NHS Trust is provided with support services such as 24/7 incident management reporting, order management, programming and logistics as well as pager device warranty, repair and replacement policy.